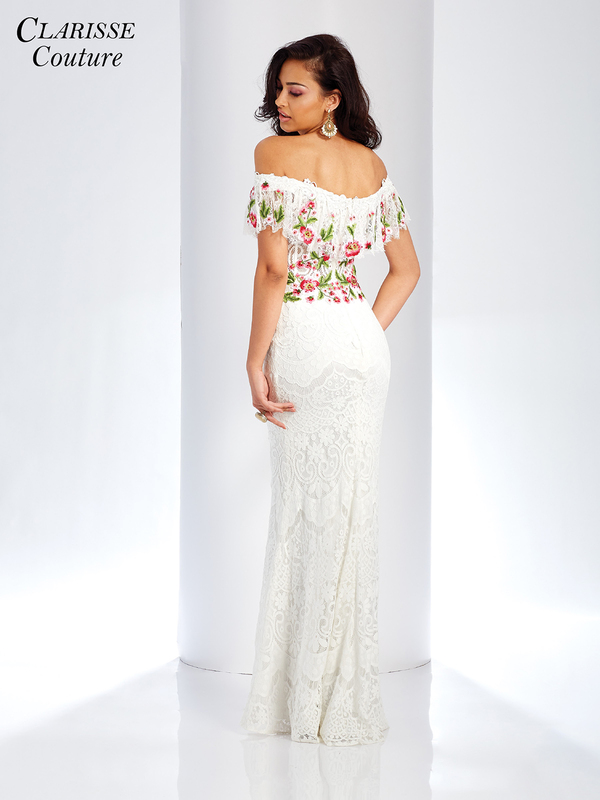 Be a boho beauty in Clarisse Couture 4954! This romantic lace prom dress features an off the shoulder bodice with a ruffle detail, adorned in red green and pink embroidered flowers. The lace skirt is fitted through the hips, then flares out around the thighs for a flirty silhouette. Pair with rustic jewelry and a loose wavy side braid for a boho prom style! Center back zip closure, available in sizes 0 through 20 (Sizes 18 and up are an additional $25).